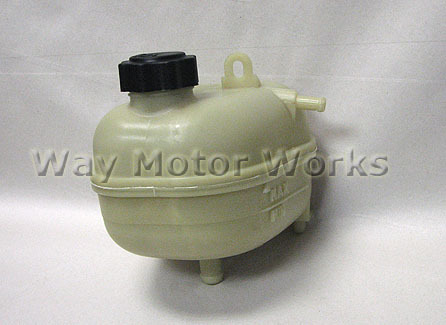 MINI OEM Coolant Expansion Tank for 2002-2006 R53 MINI Cooper S and 2005-2008 R52 MINI Cooper S Convertible. The stock coolant expansion tanks commonly leak at the middle seam and under pressure can explode. We've even seen these leak at the seam on the rear where it can't be seen while its mounted in the car. If you have a leaking coolant tank this will solve it. Coolant tank comes as seen in picture with new cap.